NSPE members don’t only change the material things in the world we live in, they change the lives of aspiring children every day. Interested in giving back to the profession and developing the pathways for future engineers? So is NSPE! The NSPE Education Foundation and the members of NSPE, and its local chapters and state societies, provide significant funding and volunteer hours to encourage young people to discover their passion and become engineers. MATHCOUNTS, in partnership with NSPE and its members, strives to engage middle school students of all abilities and interest levels in fun, challenging math programs, in order to expand their academic and professional opportunities -including engineering! A national middle school coaching and competitive mathematics program that promotes mathematics achievement through a series of fun and engaging "bee" style contests. NSPE members and chapters serve as coaches, mentors, and judges at all levels across the nation. Learn more. Formerly known as the MATHCOUNTS Club Program, The National Math Club helps build confidence in students of all ability and interest levels by giving them the opportunity to engage in unique math activities in a relaxed, social setting. 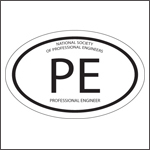 NSPE members serve as mentors. Learn more. An innovative program involving teams of students using cutting-edge technology to create videos about math problems and their associated concepts. Learn more. A unique fundraising opportunity for schools where 100% of the money earned is put towards mathematics education in the student's local community. Learn more. DiscoverE, formerly the National Engineers Week Foundation founded by NSPE, helps to unite, mobilize, and support the engineering and technology volunteer communities to increase the collaborative footprint in K-12 education and celebrate with the public as it discovers the value of engineering. Founded by NSPE in 1951, "EWeek" is dedicated to celebrating how engineers make a difference in our world, increasing public dialogue about the need for engineers, and bringing engineering to life for kids, educators and parents. Engineers Week is committed to making a difference year-round. Learn more. Future City asks middle-school students to imagine, design, and build cities of the future. After fours months of designing a virtual city (using SimCity), researching, designing, and writing up their solution to a city-wide issue and building a scale model of their city, teams will present their vision to a panel of judges. Learn more. Girl Day is a worldwide campaign to introduce girls to the fascinating world of engineering. Thousands of people—engineers, teachers and others—act as Role Models and educate girls about how engineers change our world. Learn more. Equal parts inspiration and information, the Global Marathon is an annual worldwide online forum where professional and college women can network, learn and share. Also, there are online discussions throughout the year. Learn more. Real-World Career Experience Exploring offers career exploring programs, hands-on experience, through partnerships with many organizations.